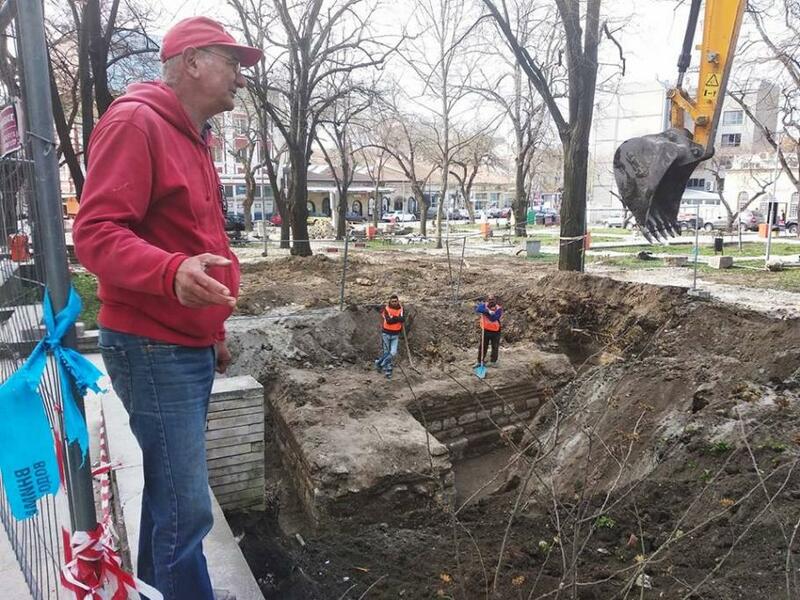 One of the entrance gates to the ancient city of Odessos, a settlement dating back to at least the seventh century BCE, has been found during repairs in a public garden in Bulgaria’s Black Sea city of Varna. The entrance gate and one of the towers were found under the garden at Varna’s Tsar Simeon I Street. Archaeologists from the Regional History Museum in Varna have been examining the find, which was the south-western gate of the ancient city. Archaeologist Valeri Yotov told Radio Varna that the precise dating of the find would be known in about a week. He estimated that the gate was probably built during the Roman or Byzantine period. Once the renovation work of the garden is completed, the line of the find will be marked with special paving, Radio Varna said. Odessos was founded at the end of the seventh century BCE by Miletian Greek colonists, with the city taking its name from an earlier Thracian settlement. It became part of the Roman Empire in the year 15 CE, within the province of Moesia. A major archaeological remnant of the ancient city still to be seen in today’s Varna is the Thermae, the public baths, which are among the largest Roman remains in Bulgaria.